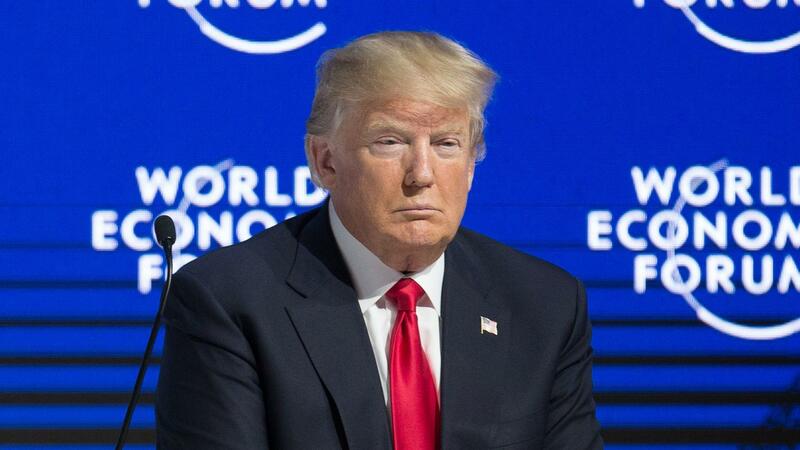 WASHINGTON, Jan. 17 (Xinhua) -- The White House said on Thursday that U.S. President Donald Trump has canceled his delegation's trip to the World Economic Forum in Davos, Switzerland, due to the partial government shutdown. "Out of consideration for the 800,000 great American workers not receiving pay and to ensure his team can assist as needed, President Trump has canceled his Delegation's trip to the World Economic Forum in Davos, Switzerland," said the White House spokesperson Sarah Sanders in a statement. Trump called off his own planned trip to the Swiss ski resort last week due to the ongoing partial government shutdown and asked a U.S. delegation, which was led by Treasury Secretary Steven Mnuchin, to attend the annual forum instead. The shutdown started on Dec. 22 due to a budget standoff in which Trump requested 5.7 billion U.S. dollars for building a wall along the U.S.-Mexico border, but congressional Democrats rejected his demand. The White House and Democratic congressional leaders appeared to get no closer to solving the budget impasse after several rounds of negotiations. House Speaker Nancy Pelosi has called on Trump to delay his State of the Union address, saying the president should wait to deliver his message to the nation until the partial government shutdown ends. Meanwhile, Trump on Thursday postponed Pelosi's upcoming trip to Brussels, Egypt and Afghanistan, asking her to stay in Washington to negotiate with him. The president didn't mention Pelosi's request to move the date of his speech scheduled for Jan. 29. To resume work as "a national security agency," the U.S. State Department said on Thursday that it was recalling the furloughed employees back to work next week with pay. "The Department expects to be able to resume most personnel operations and fund most salaries," said Bill Todd, the department's deputy under secretary for management, in a statement posted on its website. According to the statement, most employees of the State Department will resume work on Tuesday.